Monkeys are pretty much obsessed with us humans. If they're not waiting tables, they're getting drunk and vomiting all over themselves. Anything to avoid the fact that they're really monkeys. Just like us, they're also incredibly narcissistic. This explains why one black macaque decided to emulate the art of theft (see, obsessed) just to take some pictures of himself. 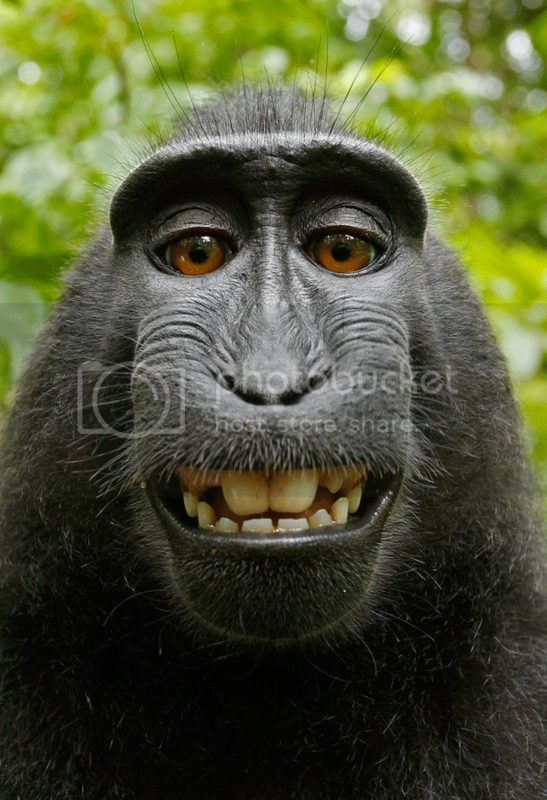 Award-winning photographer David Slater was visiting the Indonesian island of Sulawesi when a particularly pushy primate stole his camera and went snap-crazy. Initially intrigued by his reflection, the monkey soon began posing, taking hundreds of shots. Further showcasing his need to be a human, you can spot his MySpace face on the right. Hey monkeys, stop trying so hard.